Heartfelt Balance Handmade Life: Lightlife Smart Dogs Veggie Hot Dogs Aren't Just for Lunch and Dinner! 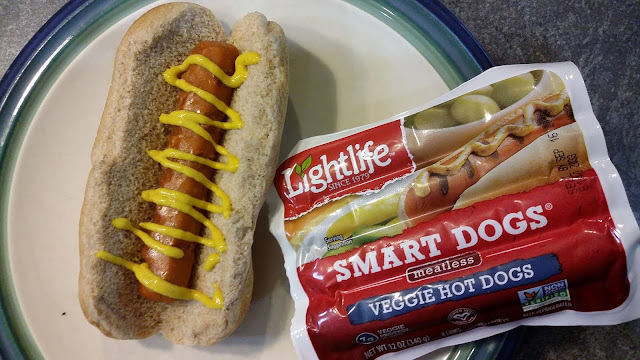 Lightlife Smart Dogs Veggie Hot Dogs Aren't Just for Lunch and Dinner! Hot Dogs and Summertime just seem to go together so well, don't they? If I ate as many hotdogs as I wanted to over the Summer, my cholesterol would be through the roof! That's not as much of a problem if I switch it up sometimes and use veggie dogs. I was recently able to try out Lightlife Smart Dogs, which I received for free from the sponsor of the Moms Meet program (greenmomsmeet.com), May Media Group LLC, who received it directly from the manufacturer. 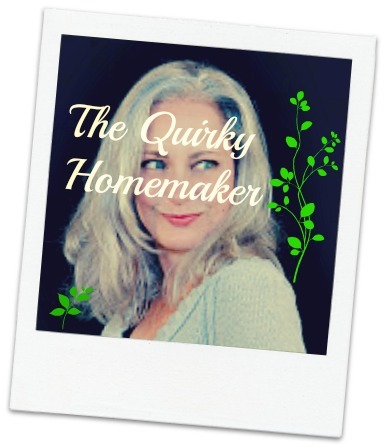 As a Moms Meet blogger, I agree to use this product and post my opinion on the blog. My opinions don't necessarily represent the opinion of May Media Group LLC or the manufacturer. Lightlife Smart Dogs are plant-based and are 100% ready for grillin'! 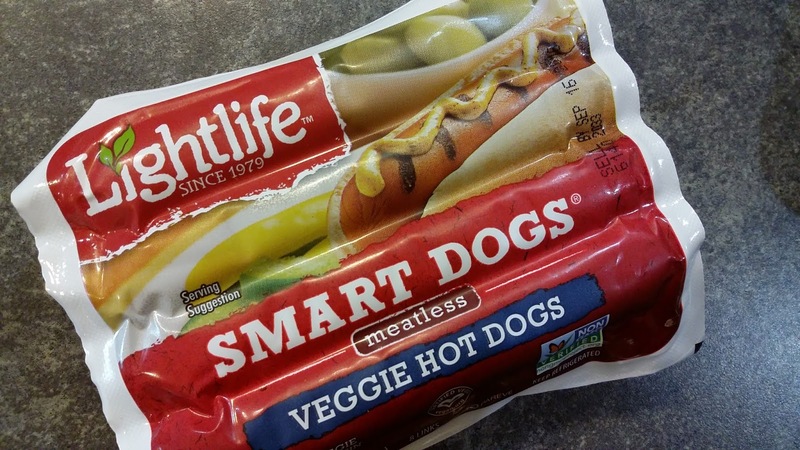 Lightlife hotdogs are Non-GMO project verified and are certified vegan. That means they are lower in calories than meat-based hotdogs and they have lower saturated fat. 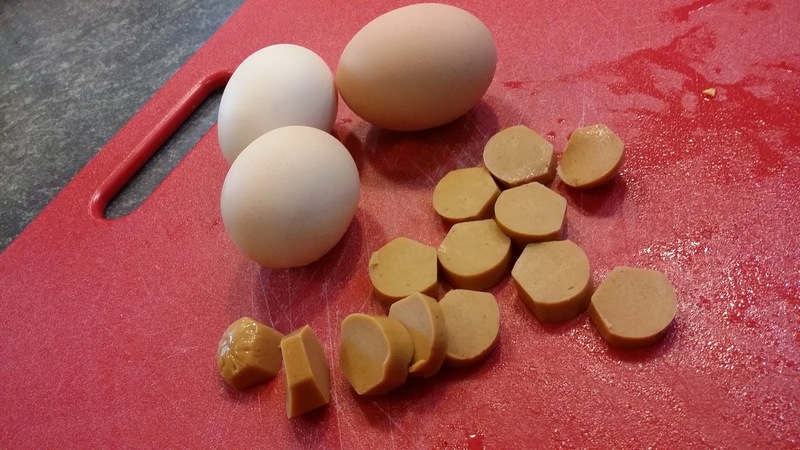 Smart Dogs have 7 grams of protein and only 50 calories per link. They also have jumbo hotdogs that have 13 grams of protein and 100 calories each. Lightlife hotdogs are refrigerated fresh and can be found in the produce, dairy or natural section of the grocery store. It actually took me a few minutes to locate them, but when I did locate them there was a full product line including lunch meats and other Lightlife products. I found mine at Target. The Lightlife Smart Dogs retail at $2.99 - $3.99. When I bought mine, they were actually on sale 2/$5. 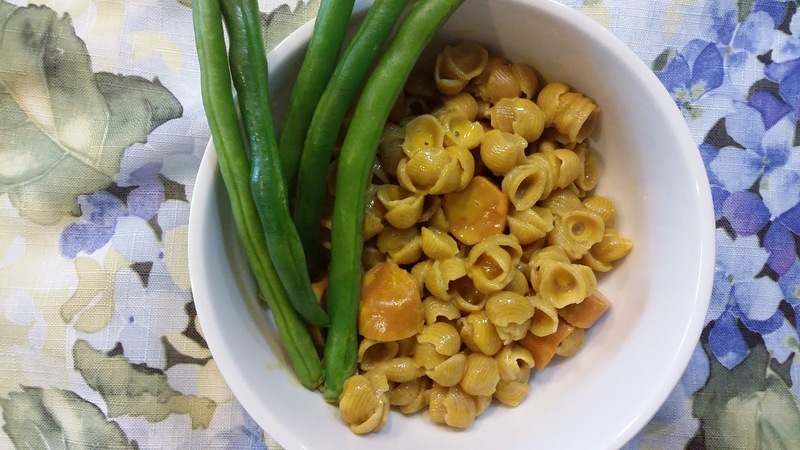 Lightlife has been making vegetarian food since 1979. They like to call their food products "Meat without the Middleman." Their products taste, look and feel like real meat products even though they are made from plants, not animals. Giving back to the community is also a priority for Lightlife. Since the inception of their company, they have contributed 5% of profits to organizations that support a healthier you and healthier planet. We are not vegan or vegetarian, but I like to eat vegetarian sometimes. I'm not going to lie. . . . . I love meat. I think I'd have a very hard time giving up meat. If I was vegetarian though, I think these would be a good substitute when you want hotdogs. Lightlife also has Tempeh, sausages, deli "meats", Chick'n, breakfast meat substitutes, beef substitutes and burgers. If you're interested in making more meat-free meals, check out the recipes at the Lightlife website. 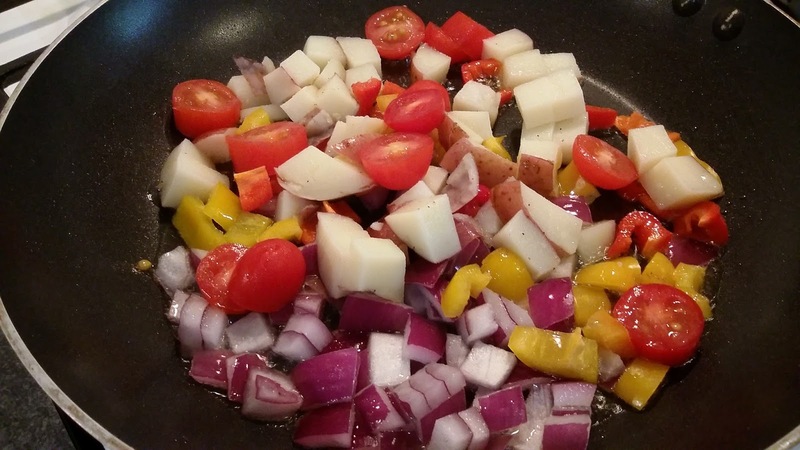 The benefits of eating more vegetables and having a vegetarian diet are numerous. 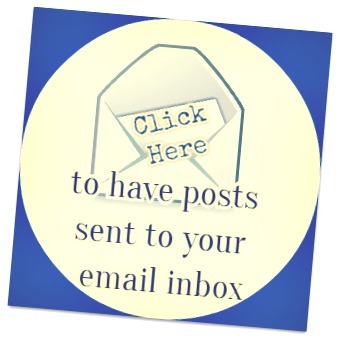 Of course the most beneficial benefit for me is reduced cholesterol levels. My cholesterol levels go up and down depending on what I eat. Other benefits include lower incidences of cancer, lower risk of heart disease, lower blood pressure and healthy weight maintenance. Since we're normally meat eaters, my kids weren't actually big fans of these hotdogs. It's hard to change from 100% beef hotdogs to these and we've been eating a LOT of beef hotdogs in the past couple weeks. I think if we hadn't been eating so many traditional hot dogs lately, my kids would have been more receptive to them. I like them, though. I think they will make my Summer a lot healthier. It's good to switch things up and make better choices when I can. I wouldn't say the texture is exactly like a meat hot dog, but it's close. Meat hot dogs are a little firmer I think. These Smart Dogs are easy to cook. You can cook them the same way you cook normal hotdogs, although for a shorter period of time. Make sure you don't overcook! We grilled ours the first time on a George Forman grill. Grills should only be heated to a medium heat when cooking these hotdogs. And when you boil them, you only bring the water to a boil and then turn the burner off. Toss your Smart Dogs in and two minutes later, your dogs are done! Since my kids didn't like eating them the traditional way in a bun, I got a little creative. 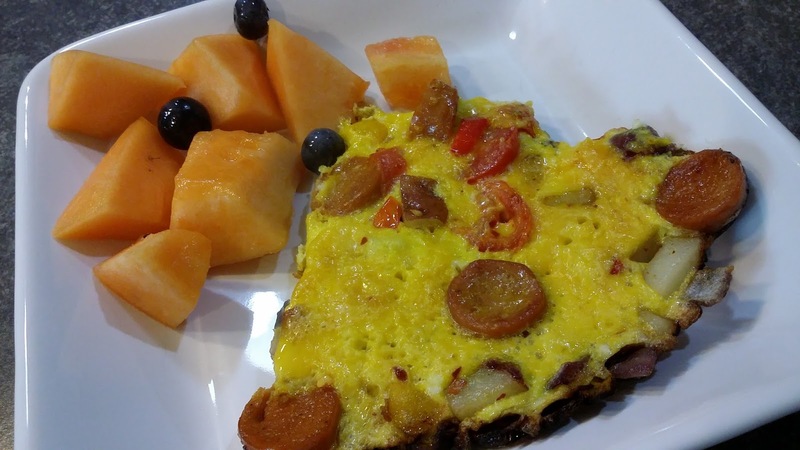 I used one of my Lightlife Smart Dogs in a breakfast scramble. As I said, we're not vegetarian or vegan here, so I used it with scrambled eggs and some veggies. 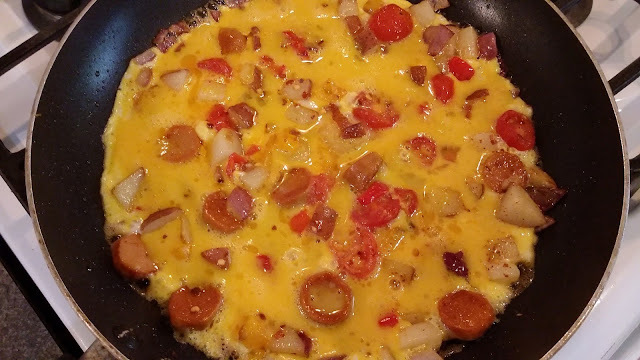 I cooked diced red onion, 2 diced mini sweet peppers, a cubed boiled red potato, 4 grape tomatoes and the sliced veggie dogs in olive oil until the veggies were soft and the veggie dogs were a little browned. Then I added the eggs and cooked until the eggs were firm. It was a great breakfast and since the veggie dogs are smoky-flavored they made a perfect replacement for other traditional breakfast meats. My veggie scramble was YUMMY! I also made organic mac 'n cheese and sliced boiled Smart Dogs into it. Yummo! Have you ever tried vegan hot dogs? Hi! I came over here, cuz I saw your name on a comment on Holly's, While I wait. Veggie dogs?? Hmm, I'd be willing to try them. In mac and cheese would be better, than straight, to try, I'm thinking!